An overview of the whole city in one day. 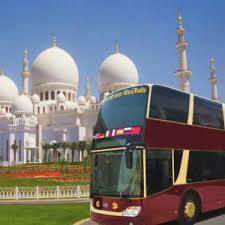 Are you planning your first trip to Abu Dhabi but you do not know what to see and where to head? 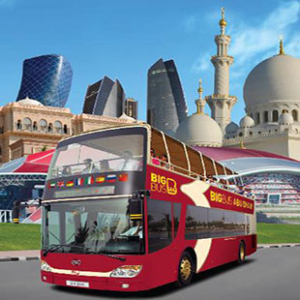 We offer you the perfect solution : The Big Bus Abu Dhabi Tour! This tour gives you the opportunity to see all the important places of Abu Dhabi and explore only those that interest and intrigue you. This is a multi-stop tour where you have the freedom to travel to your favorite place to explore deeper places and join the tour at any of the preordained locations. We offer two bus routes in this circuit: one is the red route that is around the city and the other is the green route which is the Yas walk. You must have a paper copy of the ticket at the time of your visit. It must be presented at the Big Bus counter.